The following installation instructions are for installing MXNet on computers running Ubuntu 16.04. Support for later versions of Ubuntu is not yet available. If you plan to build with GPU, you need to set up the environment for CUDA and cuDNN. First, download and install CUDA toolkit. CUDA 9.2 is recommended. The following scripts will install Ubuntu 16.04 dependencies for MXNet Python development. Using the latest MXNet with CUDA 9.2 package is recommended for the fastest training speeds with MXNet. Alternatively, you can use the table below to select the package that suits your purpose. 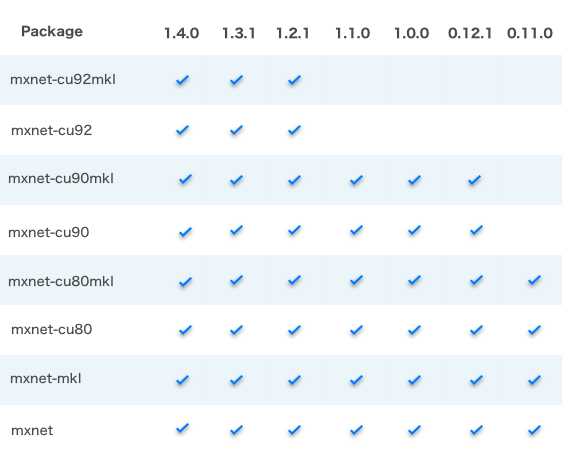 The following table presents the pip packages that are recommended for each version of MXNet. To install an older version of MXNet with one of the packages in the previous table add == with the version you require. For example for version 1.1.0 of MXNet with CUDA 8, you would use pip install mxnet-cu80==1.1.0. 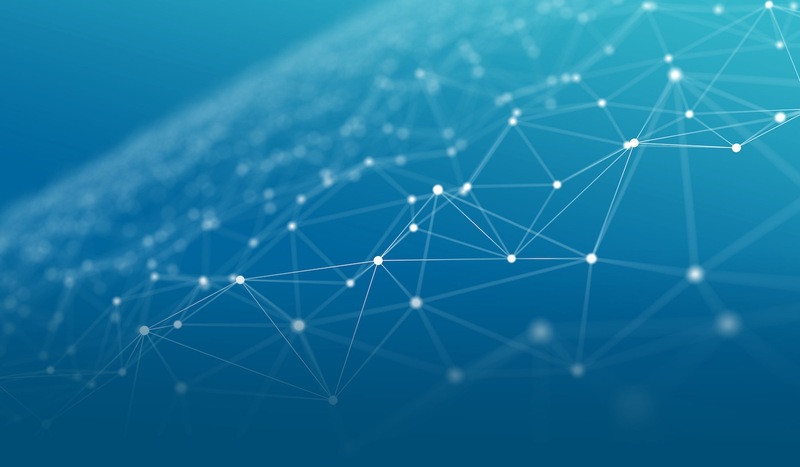 Build the shared library from the MXNet C++ source code. Note: To change the compilation options for your build, edit the make/config.mk file prior to building MXNet. More information on this is mentioned in the different language package instructions. Or you can go through a manual process described next. It is recommended that you review the general build from source instructions before continuing. Step 1: Install prerequisite packages. Step 2: Install a Math Library. Details on the different math libraries are found in the build from source guide’s Math Library Selection section. For other libraries, visit the Math Library Selection section. MXNet uses OpenCV for efficient image loading and augmentation operations. Step 4: Download MXNet sources and build MXNet core shared library. Build with CMake and ninja, without GPU and without MKL. If building on GPU (make sure you have installed the CUDA dependencies first): Cuda 10.1 in Ubuntu 18.04 builds fine but is not currently tested in CI. Building from source creates a library called libmxnet.so in the build folder in your MXNet project root. After building the MXNet library, you may install language bindings. Note that the -e flag is optional. It is equivalent to --editable and means that if you edit the source files, these changes will be reflected in the package installed. You may optionally install graphviz library that is used for visualizing network graphs you build on MXNet. You may also install Jupyter Notebook which is used for running MXNet tutorials and examples. Refer to the C++ Package setup guide. Refer to the Clojure setup guide. For more details about installing and using MXNet with Julia, see the MXNet Julia documentation. Building MXNet from source is a 2 step process. Build the MXNet core shared library, libmxnet.so, from source. GCC 4.8 or later to compile C++ 11. Step 1 Install build tools and git. MXNet uses BLAS and LAPACK libraries for accelerated numerical computations on CPU machine. There are several flavors of BLAS/LAPACK libraries - OpenBLAS, ATLAS and MKL. In this step we install OpenBLAS. You can choose to install ATLAS or MKL. Step 4 Download MXNet sources and build MXNet core shared library. You can clone the repository as described in the following code block, or you may try the download links for your desired MXNet version. Note - USE_OPENCV and USE_BLAS are make file flags to set compilation options to use OpenCV and BLAS library. You can explore and use more compilation options in make/config.mk. Step 5 Make and install the MXNet-R bindings. To use the MXNet-Scala package, you can acquire the Maven package as a dependency. Further information is in the MXNet-Scala Setup Instructions. If you use IntelliJ or a similar IDE, you may want to follow the MXNet-Scala on IntelliJ tutorial instead. To use the MXNet-Java package, you can acquire the Maven package as a dependency. Further information is in the MXNet-Java Setup Instructions. If you use IntelliJ or a similar IDE, you may want to follow the MXNet-Java on IntelliJ tutorial instead. You are more than welcome to contribute easy installation scripts for other operating systems and programming languages. See the community contributions page for further information.